Senator Shehu Sani, the Senator representing Kaduna Central Senatorial District, has said that Nigerians have found themselves in Yemen after leaving Egypt in search of peace in 2015. 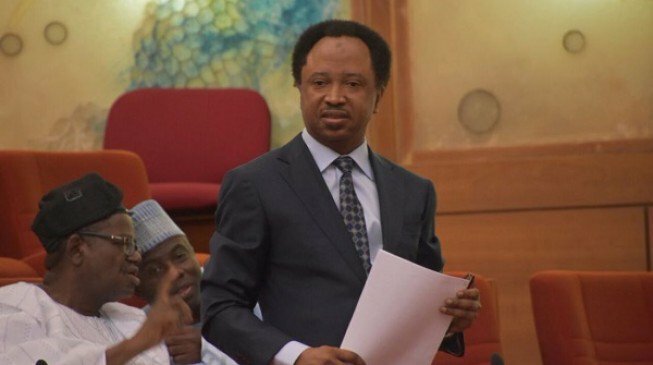 The Senator said this in a tweet on his official twitter handle. 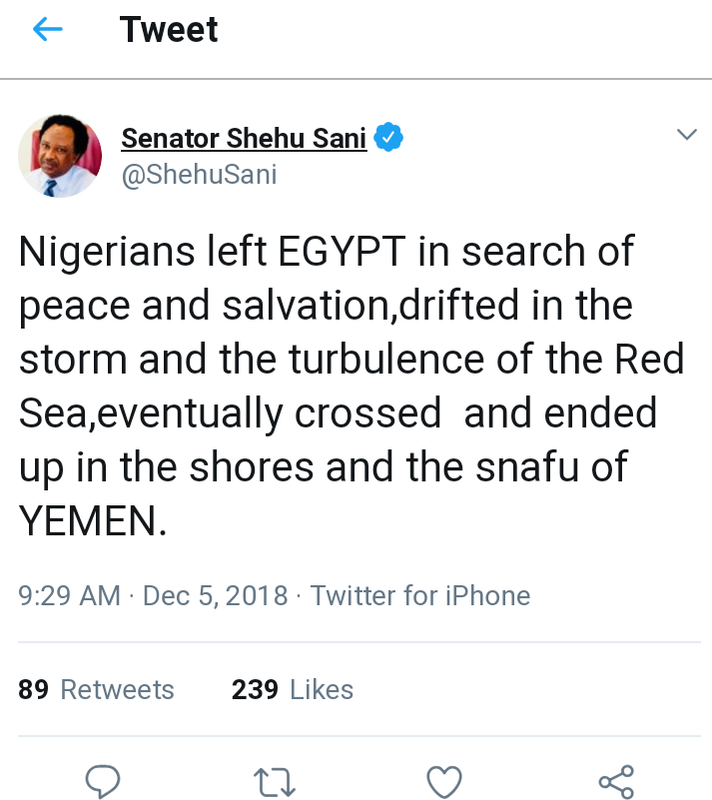 His words: "Nigerians left EGYPT in search of peace and salvation,drifted in the storm and the turbulence of the Red Sea,eventually crossed and ended up in the shores and the snafu of YEMEN.